It's one of those days where I have a huge list of things to do but somehow nothing can be done in parallel and there's a lot of waiting around, never with quite enough time to get on with something else useful. I write this as I'm waiting for two programs to finish running and give me results for a paper I'm finally writing up having met up with a collaborator in Greece last week - of which more, perhaps, soon. 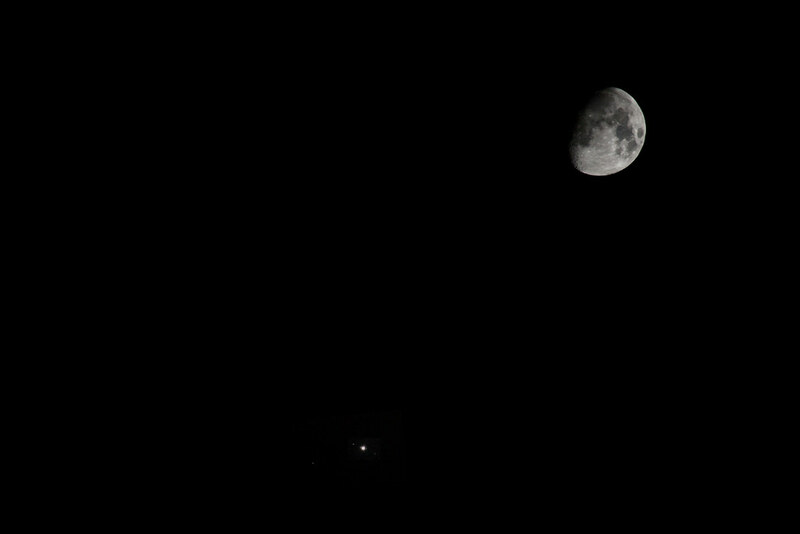 Anyway, after dinner with some friends last night I got home and saw the moon in near conjunction with Jupiter. I took a few shots and put two of them together to make the following, where Ganymede, Io and Calista were easily seen with the 300mm lens.